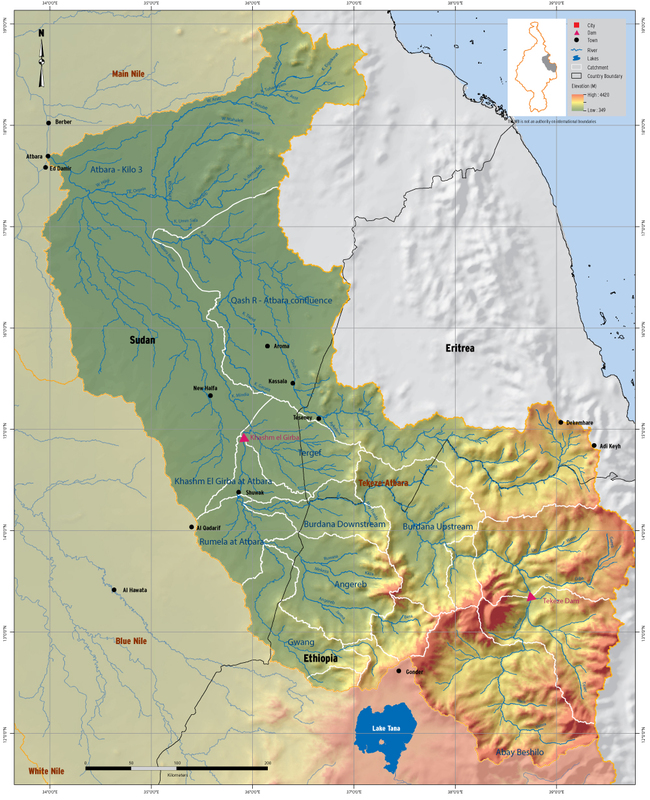 The Tekeze (Setit in Sudan) River originates from the highlands of Ethiopia as the Goang (Atbara in Sudan) and Angereb Rivers. Flows are highly variable with very little retention in wetlands or floodplains anywhere in the basin and the sediment flows are very high. The rainfall is uni-modal concentrated in August and September with mean annual rainfall 900mm. The average annual potential evapotranspiration in the sub-basin is 1,778mm.